The risk of developing breast cancer is worrisome enough. Because radiation in traditional mammograms adds to that risk, many women consider natural breast screening options. A study on radiation exposure in mammograms and the effects on breast cancer rates, published in 2016, continues to build evidence that this diagnostic tool adversely affects some women. The percent of women who might get cancer simply from the cancer test itself is low, but still noteworthy – and the reason why women with certain specific characteristics are looking for mammogram alternatives. The study (Radiation-Induced Breast Cancer Incidence and Mortality from Digital Mammography Screening: A Modeling Study,” Miglioretti et al, Annals of Internal Medicine, 2016) identified that women with large breasts, which requires 2.3 times more radiation than those with average- and smaller-sized breasts, may be at greater risk. It also found that screening every two years instead of one, and beginning testing at age 50 (not younger), lowers radiation-induced cancer risk. Others at increased risk are those with breast implants (twice the exposure is required), and those with dense breasts, which also require greater radiation exposure. About half of all women have dense breasts, particularly at younger ages. Digital mammograms: At a 75% dosage level, it offers a more conclusive view than traditional mammograms but is less available and more expensive. Women who are younger, have dense breasts and who are pre-menopausal are encouraged to use this diagnostic. The downside of this option is that although the radiation is at a lesser dose, the number of images taken is often more than the standard Mammogram so careful consideration and discussion with your holistic healthcare practitioner is strongly suggested. We certainly don’t want to suggest an option which ends up radiating the breasts more! MRIs (magnetic resonance imaging): At a cost of five times more than traditional mammograms, MRIs are usually used by women who have already been diagnosed with tumors. Ultrasounds: Widely available and not considered expensive, this use of sound waves is sometimes used when a biopsy is already prescribed (the image guides the needle). An ultrasound is less precise than an MRI. Is a good alternative for checking size and structure of a mass. Sonocine Ultrasound is often considered. Thermography (medical infrared imaging): This identifies tumor formation by temperature (when a tumor forms the metabolic activity around it increases, causing a slight rise in temperature). 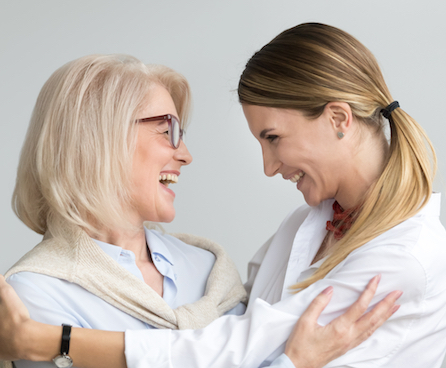 It’s radiation free, requires no invasive poking or prodding, and is used by women with average-to-high risk who, after finding some reason for concern from thermography, will usually proceed to have a traditional mammogram. Furthermore, we recommend following up with an additional screening after receiving a concerning report regardless of the screening choice! 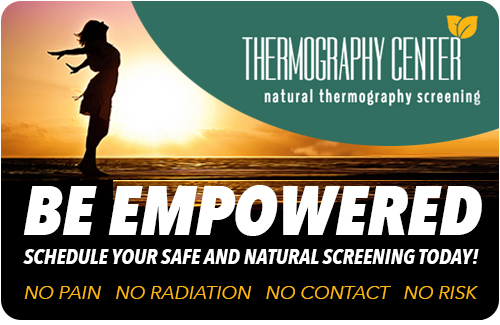 Thermography is a good option for all women regardless of their risk category. Another method, molecular breast imaging, actually uses a higher dose of radiation. It is more effective with dense breast cancer detection and more often used after a tumor is identified to plan surgery in the breast and lymph nodes.